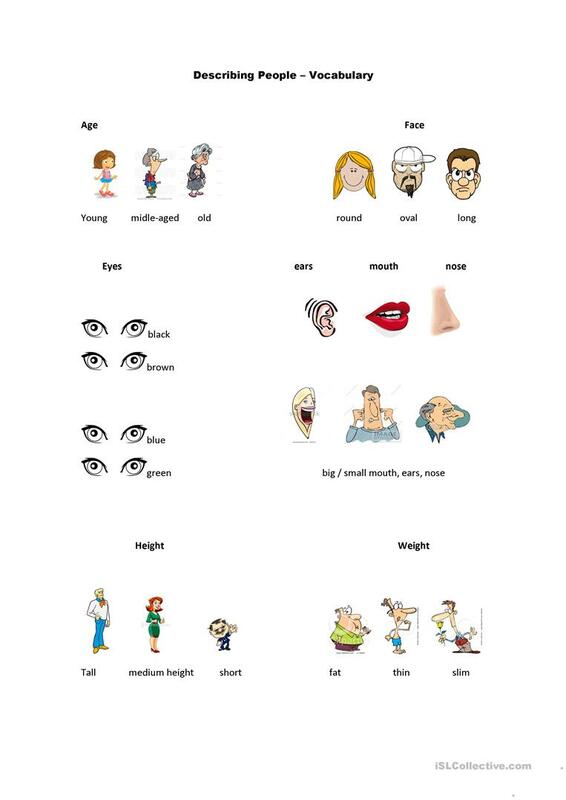 Picture dictionary( tell the Ss to paint the eyes) and exercises addapted from a portuguese english grammar. Hope you find it useful. 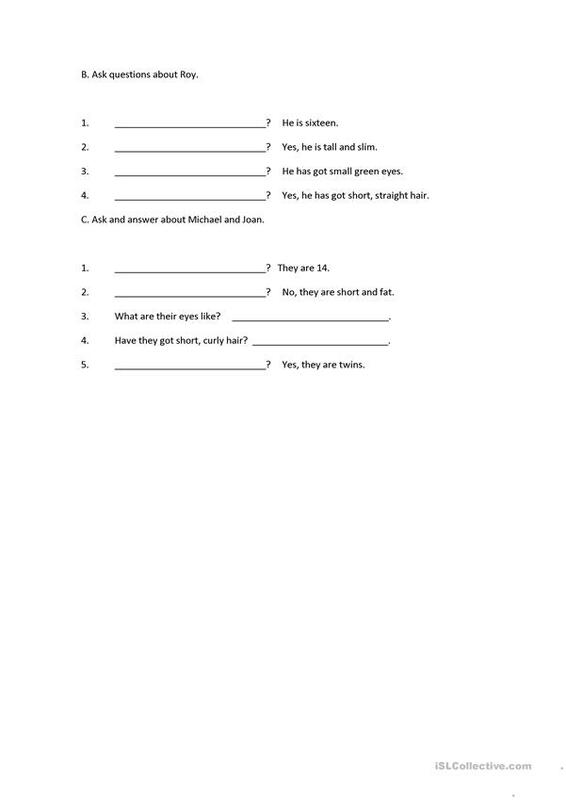 The present downloadable handout was created for elementary school students at Beginner (pre-A1) and Elementary (A1) level. 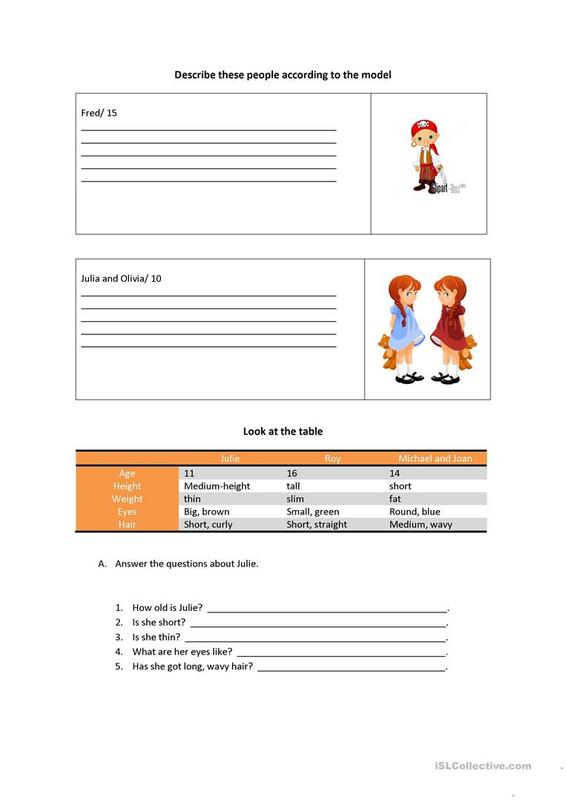 It was designed for enhancing your learners' Writing skills. 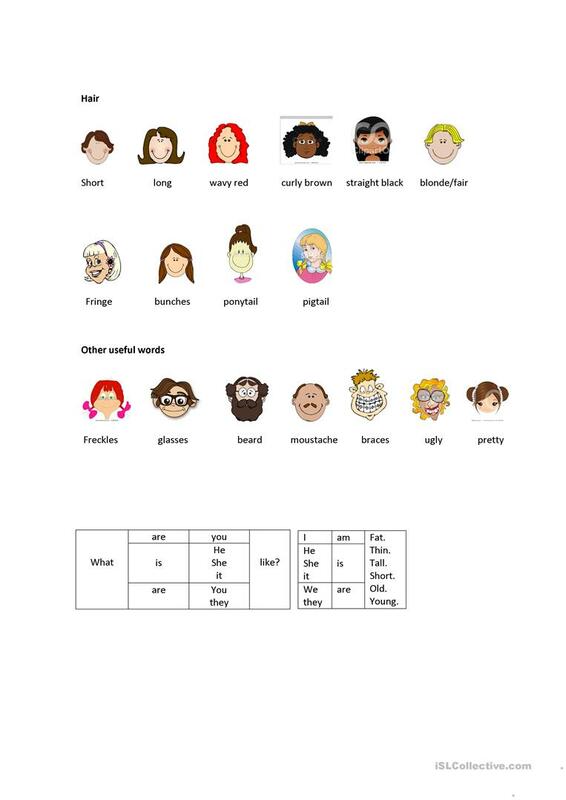 It is about the vocabulary topic of Describing people.